Angelina Jolie is not anorexic! So far, fans worried because of excessive thinness of Angelina Jolie (41), and the media said about anorexia, the actress was busy with much more important things. Jolie presented the film "Riviera" and discussed with US Secretary of State John Kerry (72) the problem of refugees. For the visit to The State Department Jolie chose a gray suit. And yes! She didn’t look exhausted, too thin and especially anorexic. 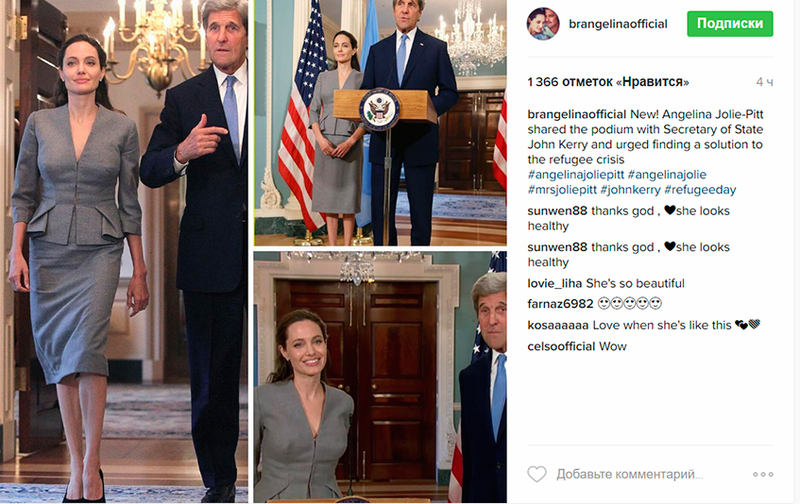 Fans have already noted on Instagram, that Angelina does not look like a sick person. "Thank God, she looks great", "So beautiful," "I like when she looks like this", – wrote fans. Recall the last few months Angelina Jolie has been of the main newsmakers, because of her excessive thinness. The photos of actress have also been the object of much speculation. 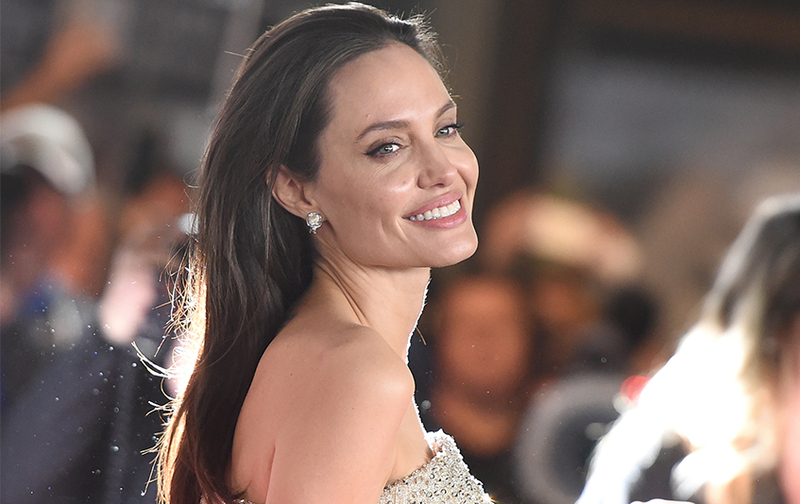 Media reported that there was something wrong with Angelina’s health. All sorts of things were written in the press: anorexia, a speedy divorce from Brad Pitt (52), and depression were named among the reasons. Fortunately, according to the latest pictures of Angelina Jolie, no reason to worry!